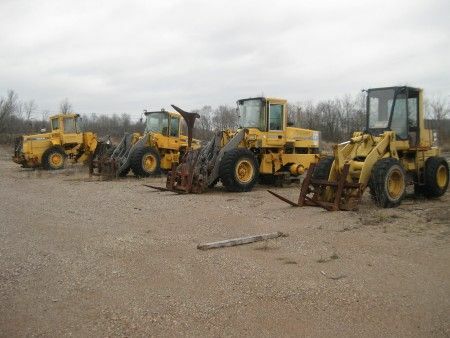 2 Parcels of Real Estate - Sawmill - Equipment - Semi's - Flatbed & Chip Van Trailers - Big Wheel Loaders - Scrap Iron Parcel #1: 11.037 Acres & Building $10,000 Minimum Bid! Parcel #2: 80 Acres of Hunting-Woodland in Jackson County, Ohio at $100 per Acre Minimum Bid! Real Estate sells first! $10,000.00 Minimum Bid!!! Consisting of Apx. 11.037 level acres fronting on St. Rt. 93 South McArthur , Ohio 45651. This property is further improved with metal & wood fabricated structures, 3 phase electric, county water and septic. 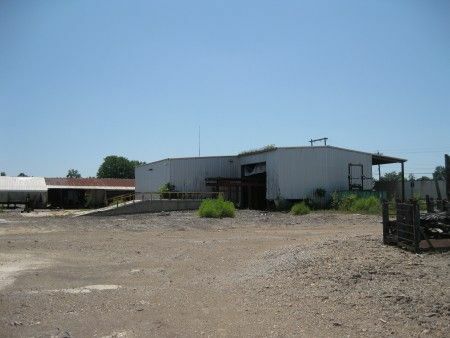 This property would lend itself to many types of business on industrial type use in Clinton Twp.. Excellent Road Visibility! These Apx. 11.037 acres are a combination of two adjoining parcels. Sold as a whole. Real Estate Terms: $5,000.00 down at time of sale, cash or check w/photo I.D., offered free & clear prior to closing on or before October 19, 2012. Taxes are prorated to day of closing. Closing conducted by Wesbanco Title Agency, LLC, Portsmouth, Ohio 45662. Sold in AS-IS, where is w/all faults. Parcel # 02-0680.000, taxes $1,435.84 Yr. Minimum Bid for this real estate is $10,000.00. No buyer contingencies exist. Personal Property Terms: Full payment day of sale prior to removal w/cash or check, no drafts and no buyers premiums! Everything sold AS-IS, where is, all sales final, caveat emptor. No warranties given, expressed or implied. Years, makes, models and serial numbers not guaranteed. All information is to be utilized only as a guide. All buyers are expected to do their own independent investigation, inspection, inquiry and examination of items they may be interested in. Announcements from the auctioneer at the time of auction will take precedence over any written material.